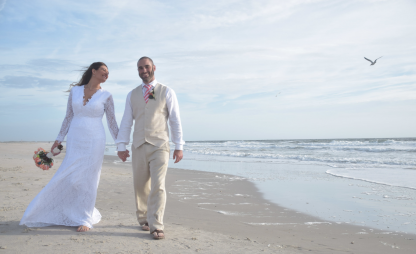 Top Rated Local® is pleased to announce that Billy Beach Photography is a 2019 award winner for photographers in North Carolina! If you are on the search for a creative and innovative photographer, make sure to check out the award winning Billy Beach Photography in the Wilmington area. Billy Beach Photography has over 200 reviews on five verified sites with an average rating of 4.94 stars earning them an incredible Rating Score™ of 99.43 and a 2019 Top Rated Local award for being one of the top 10 photographers in the entire state of North Carolina. We took a few minutes to speak with Billy Beach, owner of Billy Beach Photography, to learn a little bit more about the business and how they managed to build such a strong online reputation. We also wanted to understand what Billy’s mission was and how he feels like he makes his community a better place. Billy explained that in his world there are no do-overs, and he has to get it right the first time. He wants to make sure his photos create a legacy for his clients and for himself. Congratulations to the team at Billy Beach Photography for being a 2019 Top Rated Local award winner, and thank you so much, Billy, for taking the time to speak with us! Learn more about this business online today.